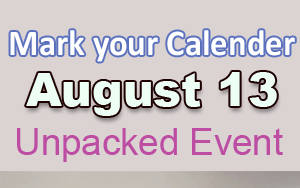 Samsung has officially announced that the next Galaxy Unpacked event will take place on August 13 at Lincoln Center in New York. An interesting thing for the viewers all over the world is here that this event will be live streamed on YouTube on that day, the company confirmed. A new patent discovered by PatentlyApple supports the theory that such a product is on the horizon. 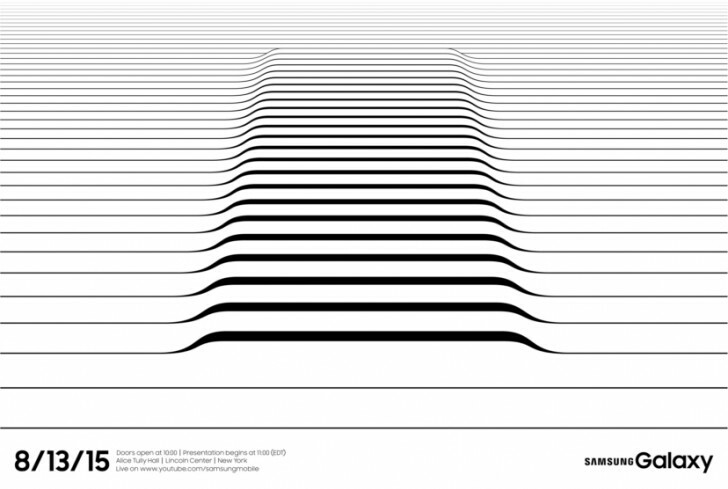 Although there was no word on what the South Korean company will unveil at the event, the teaser image (shown above) accompanying the announcement clearly hints towards a device with curved display, presumably the Galaxy S6 Edge Plus. 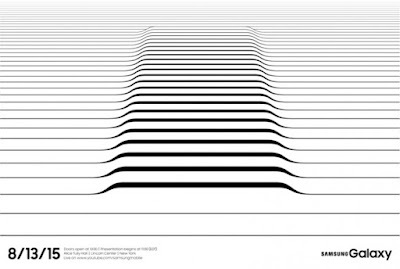 In addition, the Galaxy Note 5 could also be announced as the Note series is also due for a refresh. In case you've missed, both handsets have already posed in front of a camera, besides having their specifications leaked.